To become a welder it takes time, patience and determination and the ability to learn. 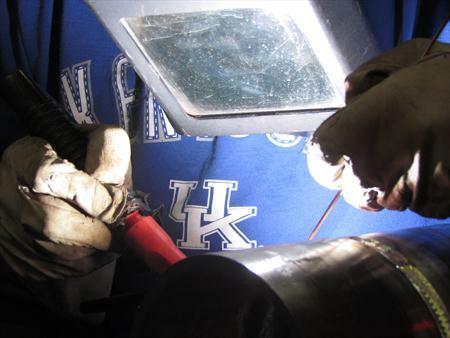 Almost everyone that goes to a welding school finds out that Pipe Welding is the most difficult welding skill to learn but it pays the most and is in high demand. Today’s Welders are engaged in work critical to the nation’s well-being, such as energy production, highway transportation, manufacturing, and military applications. Nearly half of U. S. industries report difficulties locating qualified individuals with welding expertise. Welders are one of the most needed jobs in all of the construction fields. Buildings, bridges, and roads cannot be constructed without a welder to build the frames. Equipment used to construct other objects is first made by a welder. Welding is a profession that will not go away, even as technology accelerates. 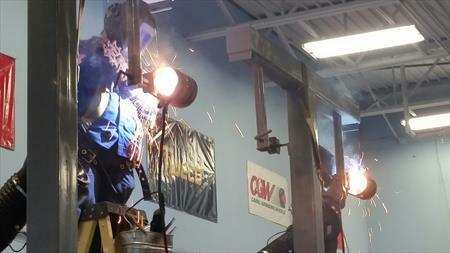 Elite Welding Academy has crafted a program to help its students to become JOB READY! When we started the programs at EWA we knew we had to put a program in place that was a step above other programs being offered. One that gets you job ready. We know that welding in position in the field is not the same as welding in a booth. Once you master the weld in the booth, we put you up on a ladder and then have you make the weld six inches off the ground. Our instructors have years of experience in the field and have the knowledge to teach you the safe, proper and productive way to do the job. Federal Financial Aid is now available for those who qualify.